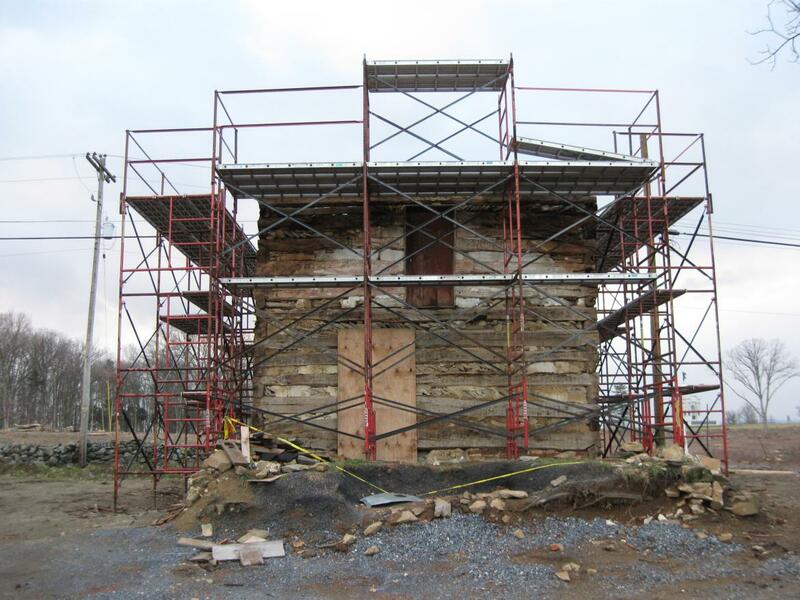 The logs on the William Patterson House are being replaced. 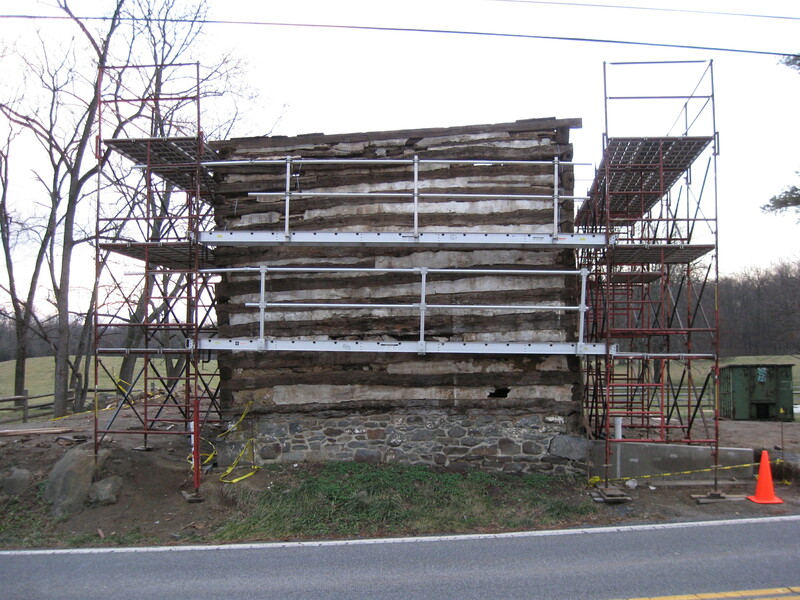 This log structure dates to approximately 1796. This view was taken facing north at approximately 4:15 PM on Friday, December 12, 2008. 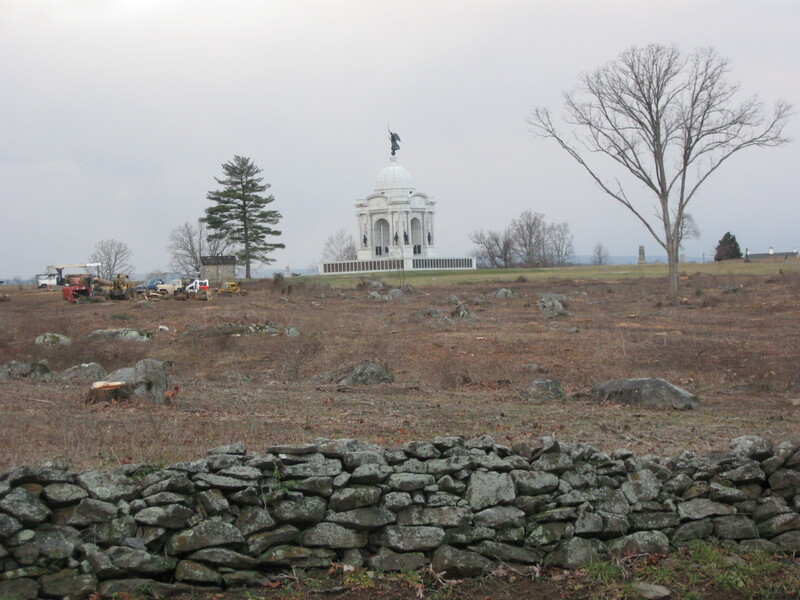 While taking our fourth panorama from the top of the Pennsylvania Monument of the progress of the tree cutting at the William Patterson Farm, we noticed that the top of the William Patterson House was gone. We decided to walk around the house today to take some closer pictures. 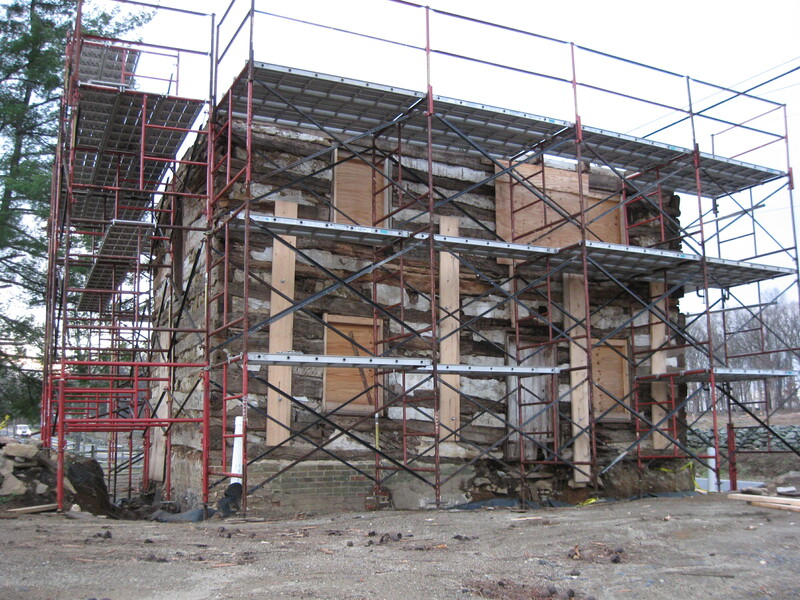 The logs on the south side of the building need to be replaced, but not all of the logs. The first “good” log is the second one over the door frame. This view was taken facing north at approximately 4:15 PM on Friday, December 12, 2008. 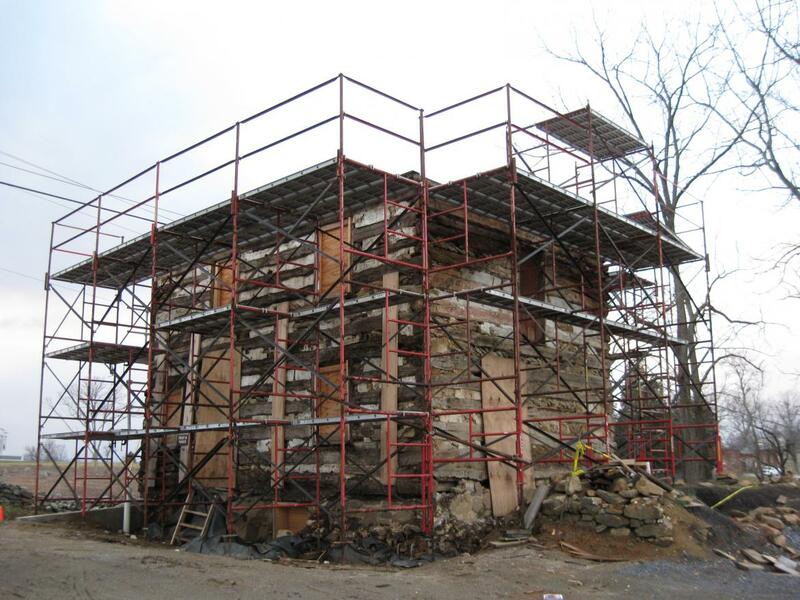 The logs need to be replaced, mostly due to a combination of dry rot, water, beetle and termite damage. This view was taken facing northwest at approximately 4:15 PM on Friday, December 12, 2008. The kitchen was at first unattached to the house, and was located on this east side. The ground closest to the camera position shows where the kitchen area was thoroughly excavated. This view was taken facing west at approximately 4:15 PM on Friday, December 12, 2008. 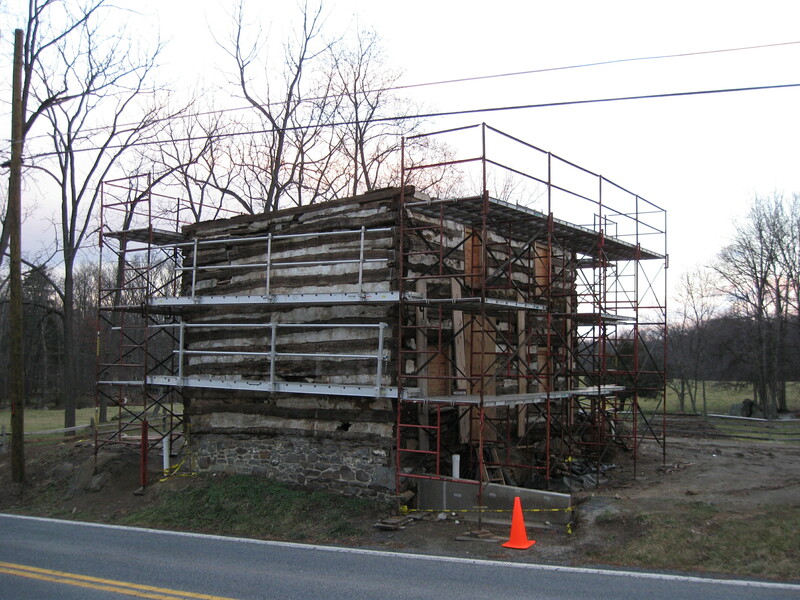 Parts of the house have been lifted up, and the lower logs replaced. This view was taken facing southwest at approximately 4:15 PM on Friday, December 12, 2008. The log structure was covered with a board and batten siding that was added sometime around 1820-1850. 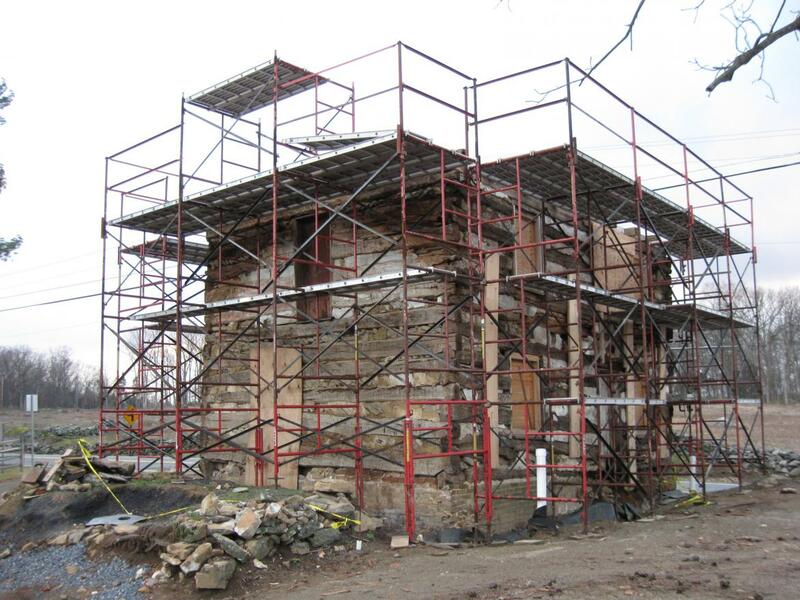 It was removed this summer during the restoration. This view was taken facing southwest at approximately 4:15 PM on Friday, December 12, 2008. 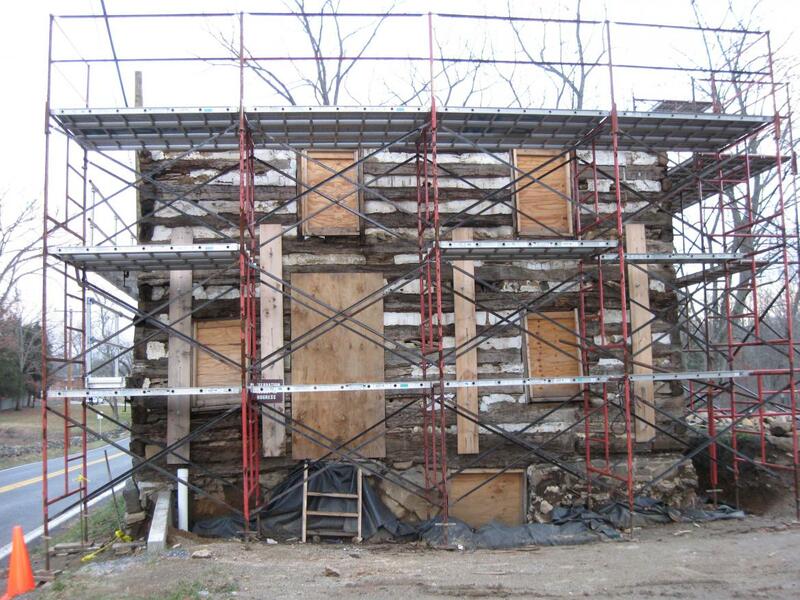 Of course the most significant section of the house that is now being replaced is the roof. This view was taken facing east at approximately 4:15 PM on Friday, December 12, 2008. 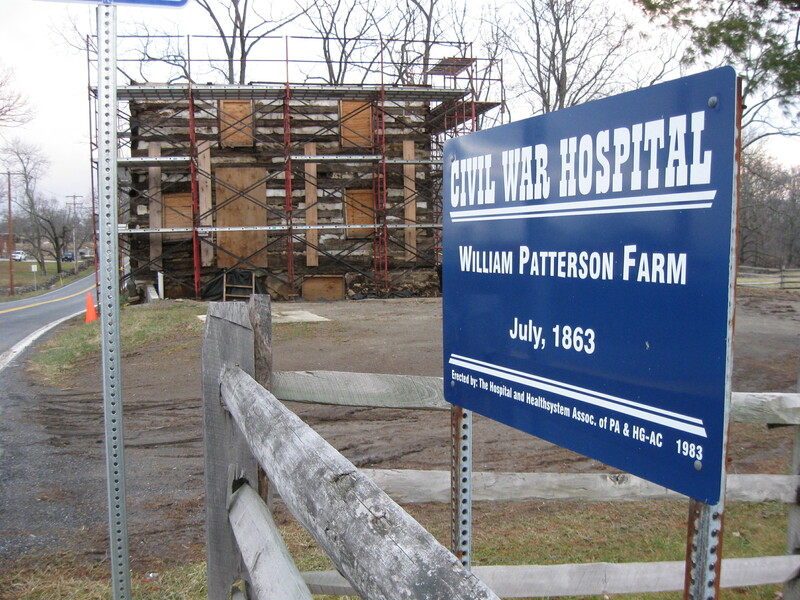 According to the 1860 census, William Patterson lived on the farm with eight other members of his family. This view was taken facing northeast at approximately 4:15 PM on Friday, December 12, 2008. Because our panorama taken from the top of the Pennsylvania monument might not do justice to how thoroughly the Patterson farm fields have been cleared, we took this shot from the opposite direction (at the William Patterson house), but at ground level. This view was taken facing northwest at approximately 4:15 PM on Friday, December 12, 2008.